First of all, please introduce yourself to our readers that might not be familiar with you and your work. 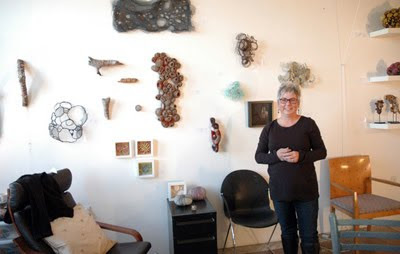 I am Jodi Colella, a mixed media sculptor from Somerville, Massachusetts. I grew up in Dorchester in an urban neighborhood brimming with kids and a lot of imaginative play. I’ve been making art with found materials and traditional handwork techniques for as long as I can remember. Working with my hands was a valued skill in my family, with birthdays and holidays being an excuse for my parents to shower us with art supplies. One of my earliest bodies of work in middle school included a collection of flattened soda cans found in the debris of an abandoned building behind my house. I would paint them to illustrate the figures I saw in the rusty shapes - everything from people to fire engines. 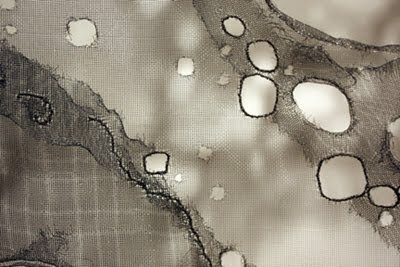 I remember how disappointing it was when the paint I used started peeling after a short time… my first material mishap. I have a BA in biology from Boston University, and attended the Certificate program for Graphic Design at Mass. College of Art and Design. I studied at the School of the Museum of Fine Arts, Mass. College of Art and Design, and Art Institute of Boston. 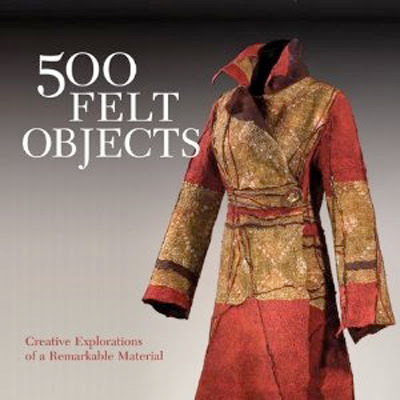 I’ve worked as a research technician at Dana Farber Cancer Institute; was a founder of Colella Graphic Design; and teach fiber arts and materials workshops and classes both locally and nationally. 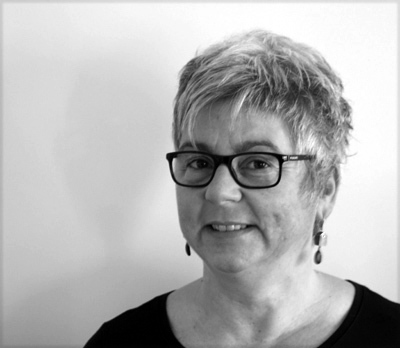 My professional affiliations include being a board member for Cambridge Art Association (2010-11), Faculty of DeCordova Museum, and a member of Surface Design Association, N.E. Sculpture Association and the Craft Council. Currently, what type of job(s) do you do besides making art? I work close to full time on my art and teach various fiber arts classes in the area and nationally. My teaching includes weekend workshops at the DeCordova, and national fiber arts conferences like Surface Design Association, as well as in my studio and other private venues. 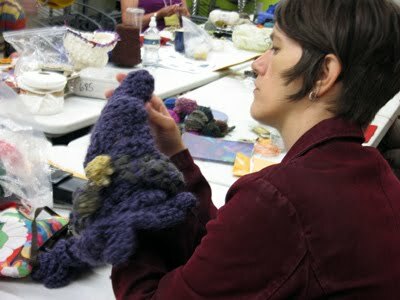 Students hard at work in a Sculptural Crochet workshop. 2011 photo by artist. Could you give our readers some insight into your work in general? What media do you work in? I create 3D objects as abstractions of natural forms. 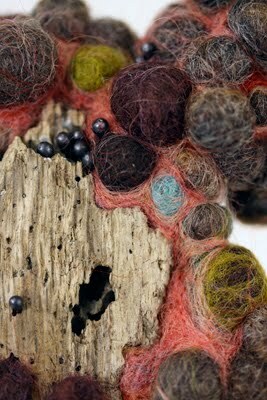 My work is very organic in nature in spite of the use of many inorganic materials. I explore the characteristics of material and transform them into unexpected forms. 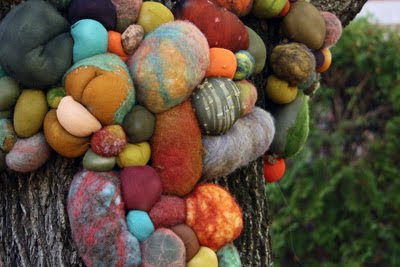 Jodi Colella, SEEDS, variable sizes, felted wool. 2008-09 photo by artist. 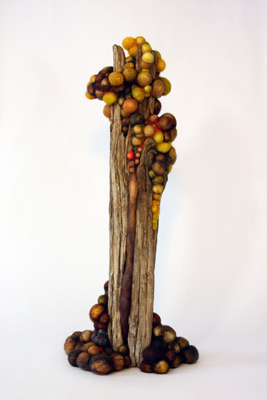 Jodi Colella, RETICULAE, 4.5 x 4.5 x 4 in. 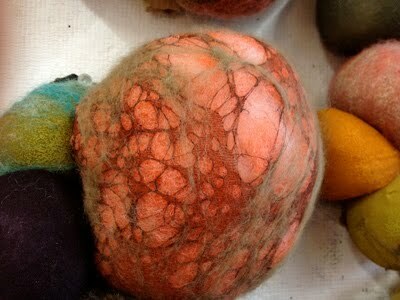 felted wool. 2008 photo by artist. 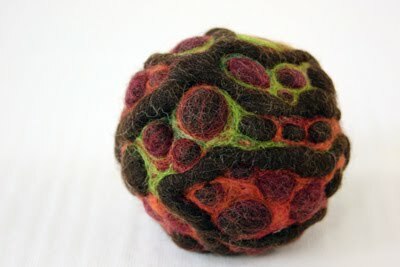 Jodi Colella, NUCLEI I, 15 x 14 x 13 in., felted wool. 2011 photo by artist. 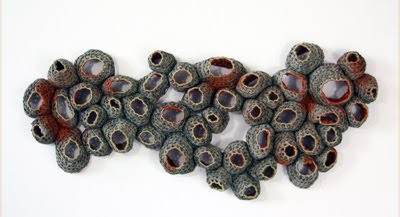 Jodi Colella, NUCLEI II, 15 x 15 x 13 in., felted wool. 2011 photo by artist. 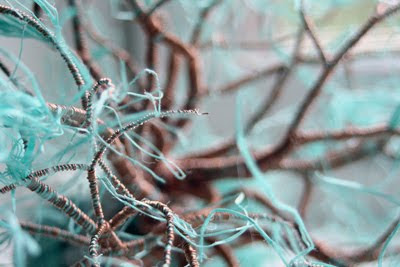 Jodi Colella, NUCLEI II, Detail. 2011 photo by artist. Would you like to share a bit your creative process with our readers? 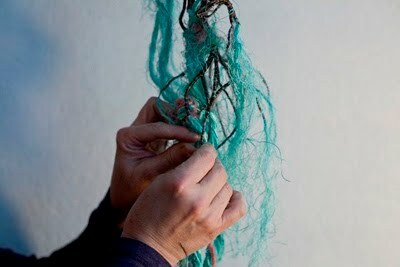 My techniques often begin with traditional handwork like crochet, knitting, embroidery and weaving but then move into other directions. I spend my time trying to express what it means to be a living being with all its highs and lows. Viewers often tell me that they feel a visceral reaction when viewing my work - that makes me happy. 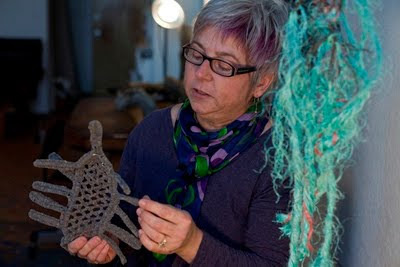 Jodi Colella, holding a study of a sculpture adapted from traditional irish crochet. 2011 photograph by Melody Komyerov. 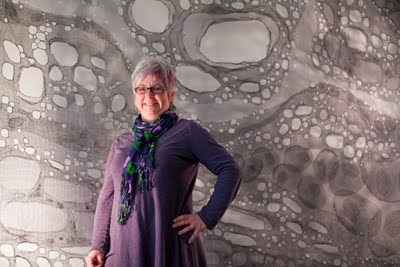 Jodi Colella working on an artwork inspired by the capillary–like nerve endings called dendrites. 2011 photo by Melody Komyerov. 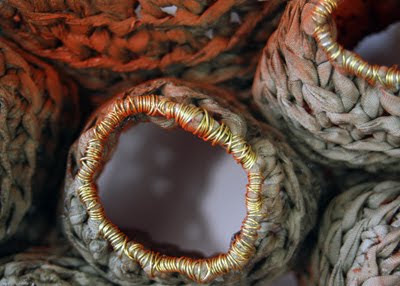 Jodi Colella, LICHEN (detail), 6 x 8 x 5 in., found fishing rope and copper wire. 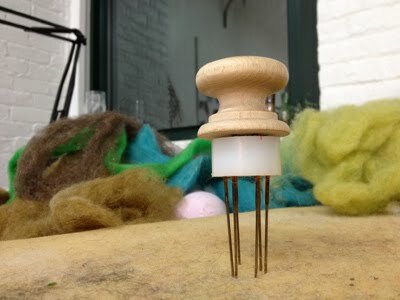 A simple needle felting tool used to sculpt wool. Could you tell us what are the inspirations behind the creation of this body of work? How does it all start? For me it all starts with playing with material. A material will catch my attention and I’ll fiddle around to learn about it. I often discover a quality that is interesting enough to keep working. Eventually it becomes apparent to me what needs to be expressed, although sometimes it doesn’t. It’s all about experimentation and letting go. It sounds funny, but I learn by going, yet I have to go before I know where I’m going. Jodi Colella, DIANA, detail. 2011 photo by artist. 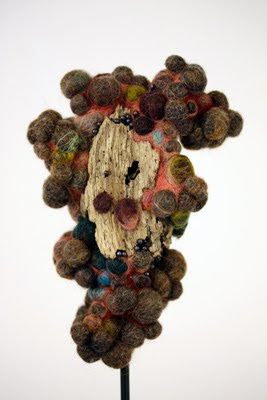 Jodi Colella, DIANA, 7 x 9.5 x 6 in., felted wool and found driftwood. Science informs my designs. 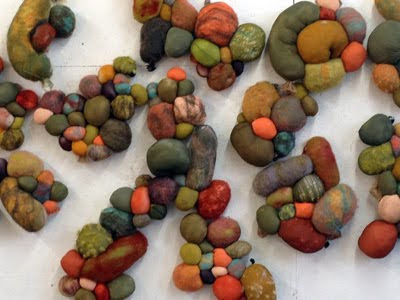 The organic forms reference both the macro and microscopic - exaggerated cellular forms that act as metaphors for the human condition in its most primitive state. 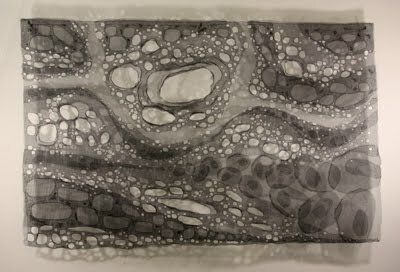 I’m entranced with the patterns of everything from capillaries to bacteria to tree trunks, etc. I’m in awe of the elegance of the mechanisms of life and the efficiency of biological systems. The act of making is time consuming and repetitive, giving me the time to become totally engaged in the process. 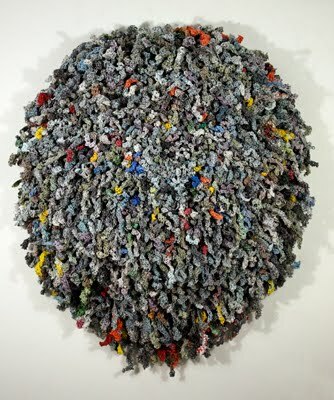 Jodi Colella, INSATIABLE, 12 x 26 in., polyester, floral wire and paint. 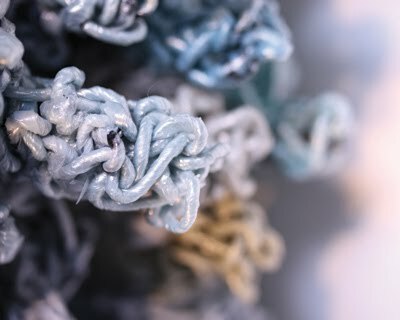 Jodi Colella, INSATIABLE, detail. 2011 photo by artist. What is the most interesting comment about your work you have heard from a viewer? Somebody once said that ‘One Day’ looked like it was breathing. I was thrilled that it had such a presence that someone thought it was alive. Jodi Colella, ONE DAY, detail. I participated in a professional development program for visual artists called Artists Professional Toolbox. During this 8-month course a group of 30 artists met every other week for presentations on marketing, branding, writing, tax law, copyright, contracts etc. By organizing and thoughtfully defining my goals I have developed a methodical approach to the business of promoting my work. After the initial investment of time to pull my materials together (website, statement, photography of work, marketing plan etc.) I am able to have more time for art than before. Jodi Colella with UNDERCURRENT hanging in background. 2011 photo by Melody Komyerov. 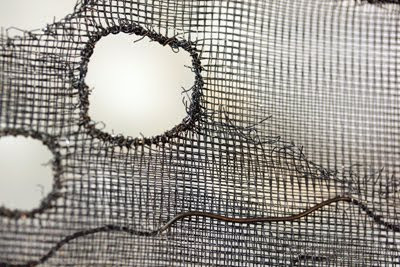 screen and steel wire. 2008 photo by artist. What galleries have you recently exhibited in? 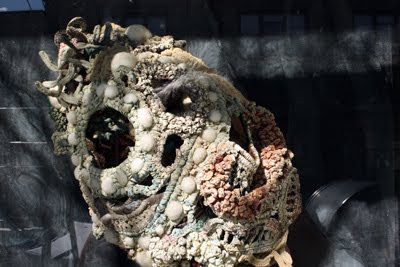 Jodi Colella, RECEPTOR, hanging in the Arlington Windows Project window on Medford St. in Arlington. October 2011 photo by artist. From April-September 2011, One Day was part of the international exhibit GREEN: A Color and a Cause at the Textile Museum in Washington D.C.
Jodi Colella, ONE DAY exhibiting at the Textile Museum in Washington D.C. Green: A Color and a Cause. 2011 Photo by museum staff. 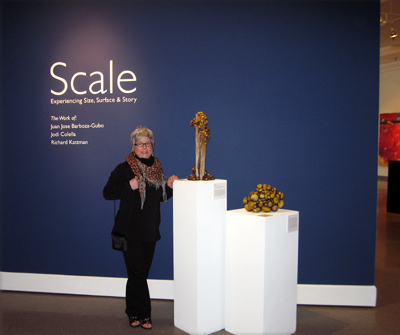 Last spring I was in SCALE, a three person show at the Attleboro Arts Museum in Attleboro MA. 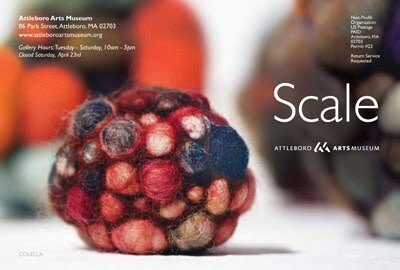 Postcard for SCALE at Attleboro Arts Museum. 2011 Photo by artist. 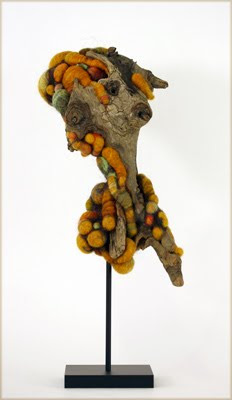 Jodi Colella, MARROW, 10 x 22 x 8 in., felted wool and found driftwood. I also participated in Growth and Decay, a three person show at University Place Gallery located at 124 Mount Auburn Street in Cambridge, MA. 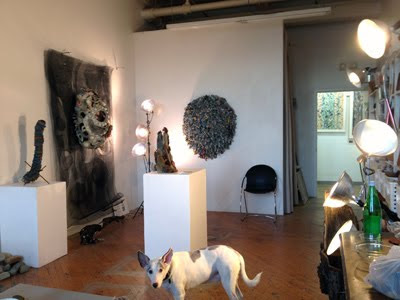 My felt sculptures were exhibited in the project room at NK Gallery in Boston last July. Would you like to inform our readers of your current and upcoming exhibitions? 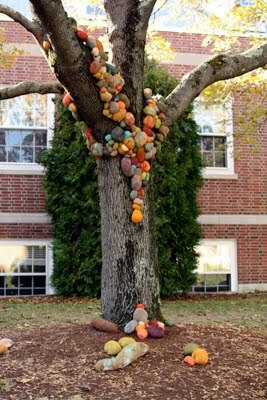 I am currently exhibiting in the Cushing-Martin Gallery at Stonehill College in Easton, Massachusetts. The show Stitched: Nature Constructed is a student-curated show where a group of students chose a theme, created a call for work, visited studios and selected three artists to be included in the show. 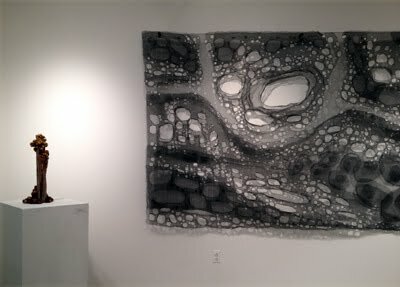 Jodi Colella, UNDERCURRENT and MARROW sharing some space at the show Stitched: Nature Constructed at the Cushing-Martin Gallery, Stonehill College in Easton, MA. 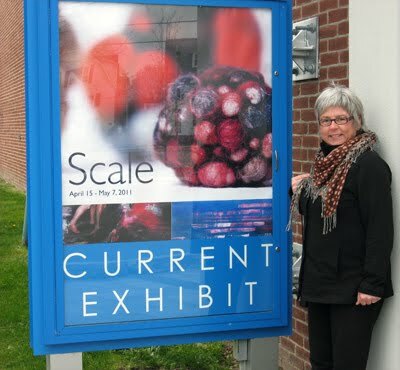 The students chose three to four works from each of us and I actually had the opportunity to create an outdoor installation at the gallery entrance. 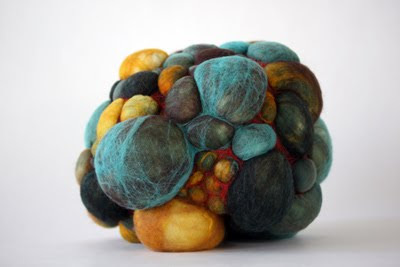 Jodi Colella, MUSHROOMED, nylon, fiberfill, wool, wire and paint. 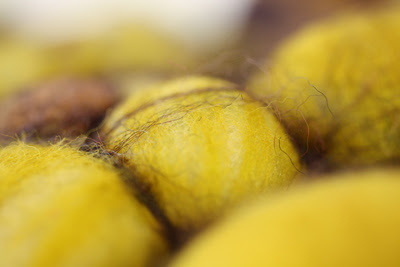 Jodi Colella, MUSHROOMED (detail) 2011 Photo by artist. The sculpture was conceived of, designed and installed in the span of three weeks, hence the name MUSHROOMED, or ‘something that grew quickly as if from nothing’. Below photos illustrate some of the process involved in designing and creating MUSHROOMED. 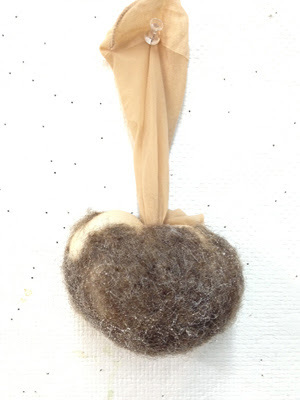 Jodi Colella, MUSHROOMED, in-progress. 2011 photo by artist. Working with these students has been a rewarding experience. I’m so impressed with their intelligence, creativity, dedication and enthusiasm. 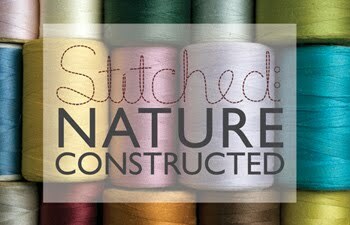 STITCHED: Nature Constructed is currently display at Cushing-Martin Gallery in Stonehill College located at 320 Washington Street in Easton, Massacusetts through December 12, 2011. What are you working on right now? 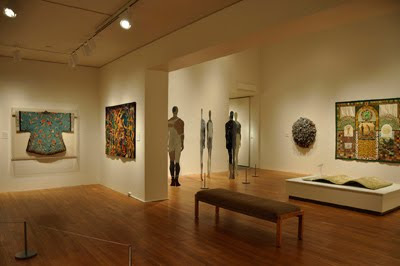 Are you planning any exhibitions of your work in the near future? 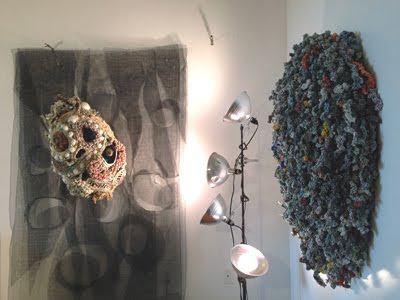 I’m currently working on a solo show scheduled for June 2012 at NK Gallery located at 450 Harrison Avenue in Boston. My plan is to use the whole space of the room as a single installation. I’m continuing to examine the juxtaposition of growth and decay in the light of transcendence. As I typically do, I’ll be throwing myself into this with total abandon and can’t wait to see what follies I’ve created at the other end. That said, this could all change between now and the time I get there! 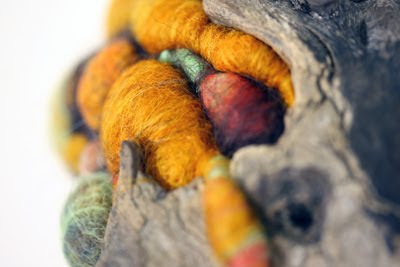 Also, in March, ONE DAY will be participating in the international fiber event ‘Fiber Philadelphia 2012’ in the show Outside/Inside the Box. 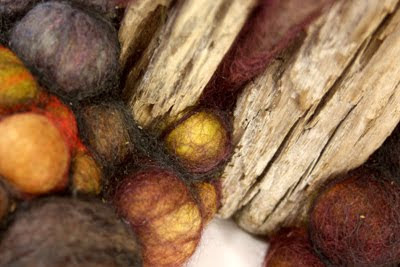 Fiber Philadelphia is an international biennial for fiber/textile art that takes place in and around Philadelphia, Pennsylvania, USA. Exhibitions are planned for over 30 locations including major institutions and independent venues. They will include work by renowned international artists and a new generation of artists breaking into the field. I am honored and excited to be a part of this event. 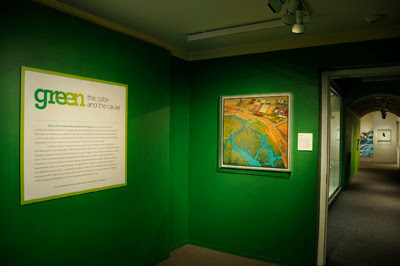 For more information about this exhibition, please follow this link. Please share with us the awards and recognition you received in the recent years. Would you provide links to articles about your work for interested readers to learn more about your work? 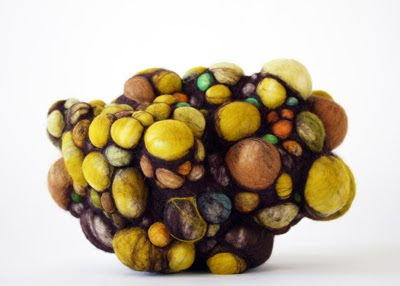 GREEN: THE COLOR AND THE CAUSE, Online Interactive Exhibition catalog, Washington D.C.
Jodi Colella, COLONY, 4 x 6 x 4 in., felted wool and found driftwood. It helps to strike a balance between following your instincts and still being open to feedback. Network and share as often as possible. It’s important to find a support group of other art professionals to share with and bounce ideas off of. Ask questions, be curious and read as much as you can. Are you available for commissioned works? Do you offer any art classes? Do you have website? Jodi Colella, in studio during Joy Street Open Studios, November 2011. I am available for commissioned works. I do offer workshops. Please visit my website for the new 2012 course offerings. My website is www.jodicolella.com and my blog is at www.jodicolella.blogspot.com. To sign up for my newsletter please contact me at Jodi@jodicolella.com.